TBILISI, DFWatch–Parliamentary Assembly of GUAM adopted a document during the sixth session in Tbilisi, which reflects major aspirations and goals, which the countries of the union have. The document also focuses on supporting the EU’s Eastern Partnership. The sixth session of the GUAM parliamentary assembly, which unites Georgia, Ukraine, Azerbaijan and Moldova, was held in Tbilisi December 2-3, as Georgia chairs the cooperation. Except delegations from member countries, there were also delegations from Poland, Estonia and Latvia participating in the session. GUAM was created in 1997 during a summit of the European Council. Its goal is to jointly work against the challenges that these countries face. The cooperation also includes economic, trade and security issues. From 2001, the organization was officially structured and it was thought that it should have started active work the same year. There were great hopes and expectations for GUAM in the beginning, but they weakened over the years. The Parliamentary Assembly adopted two documents at its sixth session. The first one is a communiqué for GUAM member countries. During the session they also adopted a joint statement with parliamentary assemblies of the Baltic countries and Poland. Georgia, Ukraine, Azerbaijan and Moldova have many common problems, challenges and goals. Among the challenges is the problem of territorial integrity, which Maia Panjikidze, Foreign Affairs Minister of Georgia, underlined in her speech December 2. She said that the situation in the Tskhinvali region, which is the Georgian name for South Ossetia, is reflected in the text of adopted communiqué. The document also reflects major aspirations and goals, which GUAM member countries have, like European aspirations and solving conflicts. Zurab Abashidze, who chairs parliamentary assembly of GUAM, said that the document also reflect support of the Eastern Partnership and Georgia, Moldova and Ukraine are reflected as countries having initialized Association Agreements. “The documents underline that no country has right to intervene the choice of sovereign and independent states,” he said. As for the conflicts, Abashidze said, it concerns to Azerbaijan, Georgia and Moldova. The documents condemn presence of other countries’ military forces in those countries. By request of Georgia, the document also includes the issue of Russians installing wires and fences on the occupation line. 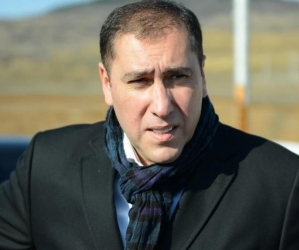 Davit Usupashvili, Speaker of Parliament, is sure that GUAM has ‘serious future’ and the proof to this is that different international organizations and countries are starting to actively cooperate with GUAM. “GUAM as a union of four states has become a center of attraction with which there is active cooperation from Baltic states, states in eastern Europe and the USA and we will support this cooperation,” he said at the session on December 2.